I was having a very strong Caribbean Curry Craving when I decided to make Jamaican Curry Chicken. 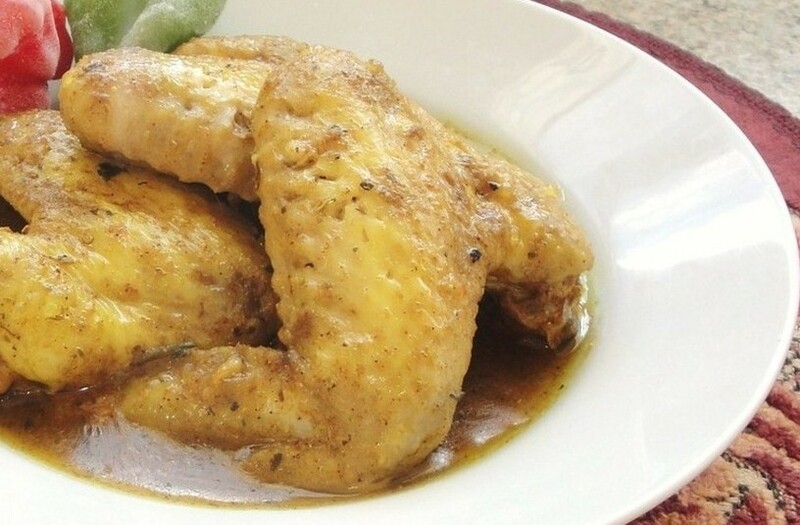 Curry Chicken is a staple in Afro-Caribbean countries with significant Indian populations, and in English speaking South America-more commonly associated with the Caribbean by language, culture and food. In Trinidad, Guyana, and of course Jamaica, curry chicken is "everyday" curry. 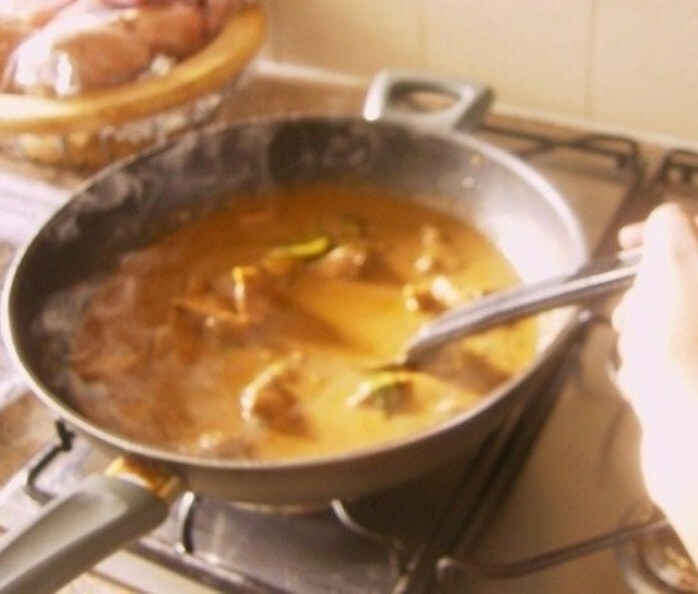 Unlike Curry Goat which is more commonly made for special occasions and celebrations. 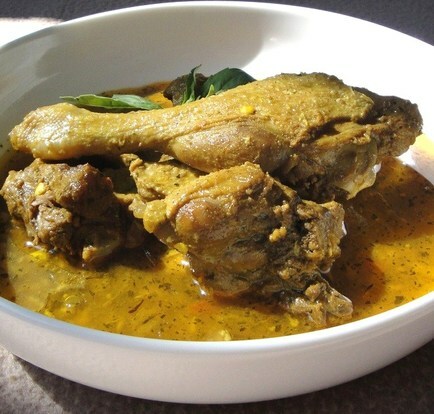 You can use any part of the chicken for this curry, it is common to use legs, breasts, and thighs on the bone. I prefer to use wings. There is something about curry wings. 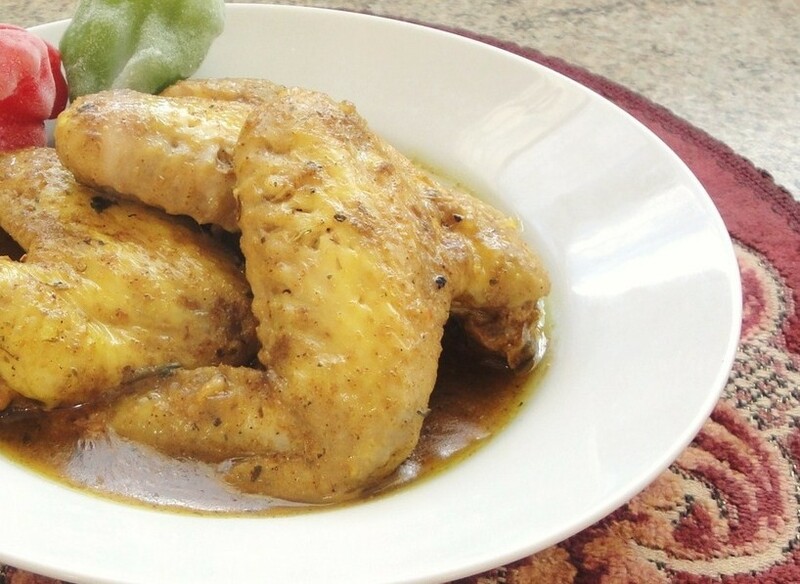 Chicken is one of the staple meats of Afro-Caribbean countries. We eat more chicken than pork in Jamaica, unlike the neighbouring countries of Cuba and Puerto Rico where pork is more heavily consumed. So what makes Jamaican curry different from Indian or Thai Curry? We use different ingredients. The two most essential differences is that we use Scotch Bonnet peppers to flavour our curry, and it is common to use All Spice, which is a Jamaican Pepper spice. We also use Thyme which is the most popular herb in Jamaica, though not indigenous to Jamaica itself. I will admit that I had no intention of ever doing a Jamaican Chicken Curry recipe, because I'm fonder of Caribbean Curry Goat and Duck Curry. 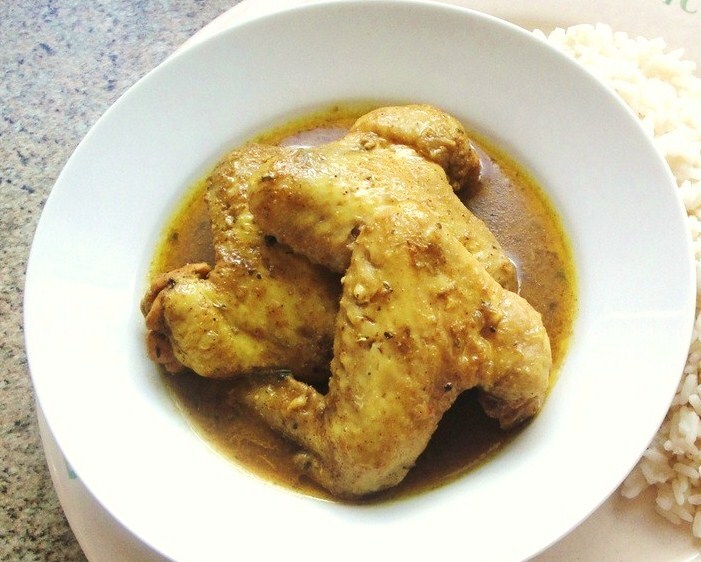 But due to economic purposes and the wide availability of chicken, it seems only fitting to do a Jamaican Curry Chicken recipe. I find chicken recipes always seem to become firm favourites, or made popular by blog readers because nearly everyone can get it, or has easy access to it. Chicken is one of the most widely consumed meats in the world and it's popularity is no doubt due to it's versatility and relative inexpense. Bare in mind that this recipe is for the use of chicken wings. Add 1 or 2 tbs of Caribbean Curry powder and sprinkle 1 tbs of soy sauce on the chicken. ADD SALT TO TASTE AND SET ASIDE, rub the ingredients into the chicken. *Mix 3 tbs of Caribbean Curry powder in approximately 1/3 of a cup of water and set aside. Heat oil in a large pan or iron skillet. Then add chopped garlic and onion and sautee on low to medium heat for about four minutes. Then add the curry powder you set aside earlier AND also add 1 tsp of Cumin. Cook the curry spices down for about seven to eight minutes on low to medium heat. Then add chicken and brown for approximately five minutes on each side. Then Chop and completely de-seed 1 scotch bonnet pepper. Add the pepper to the pan. Add another sprinkling of Garam Masala and taste for salt. (Very Important) Add a sprinkling of Freshly chopped Cilantro or Parsley as an alternative. Cook for another 15-20 minutes or until the curry has cooked. Serve with white rice, potatoes or yams and Caribbean Roti.